A unique roofing tile system using recycled Welsh slate is set to revolutionise the global construction market. 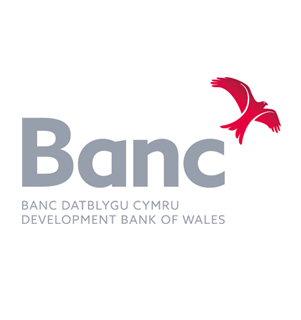 Penarth-based Carapace Slate Limited has secured a £300,000 funding package from the Development Bank of Wales and the newly launched Angels Invest Wales. Angels Invest Wales also introduced the business to the former Nuaire Chief Executive Mark Huxtable. He has now been confirmed as the newly appointed Chairman of Carapace. The global construction sector is forecasted to grow by 80% by 2025. A recent study by Redland revealed that 46% of construction SMEs are experiencing difficulties hiring roofers whilst the UK Government has promised 50% faster delivery of new builds and a 50% reduction in greenhouse gases. Carapace is hoping to capitalise on the growing need for manufacturing solutions that enable developers to complete contracts more efficiently. Their slate looks, feels and performs exactly like quarried natural slate. Using a revolutionary new bio-composite, any colour, grade or pattern can be replicated. Each slate self-aligns and interlocks without nails or screws, resulting in 90% quicker build speed therefore reducing labour and overall projects costs. The slates are also lightweight, reducing the energy needed for transportation. An initial loan of £65,000 in 2017 from the Development Bank of Wales and a grant of £133,000 from Innovate UK enabled Managing Director and Founder Martyn Lucas to design a realistic tile from slate powder that is durable and can be fitted easily. Carapace now has final stage patents in the UK, EU and USA. Work will now continue with the design, installation and calibrating of production processes and equipment with the first products expected to be available in late 2018. “We couldn’t be more excited about the prospect of growing the company with Mark and the development bank alongside us. With Mark’s wealth of knowledge and experience in manufacturing and the immeasurable support of the team at the development bank, we believe we now have the ultimate runway to catapult Carapace to commercial success both efficiently and sustainably. “Carapace has been designed to provide a step-change in onsite productivity – enabling an unskilled worker to reduce installation time by over 90% when compared to traditional materials and methods employed by skilled roofing professionals; extending current resources and expanding the competency base of general builders and labourers.